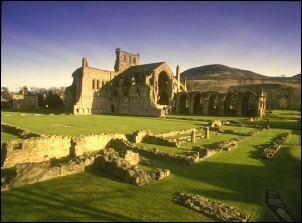 The Scottish Borders is the leading short break destination in Scotland. The scenic route on the A68 from England goes through the Northumbria hills over the border, through Jedburgh and on to Edinburgh. Alternatively, take the coastal route from England northwards on the A1 through Berwick-on-Tweed to cross the border into Scotland. 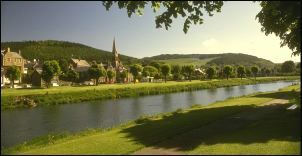 In addition to historic abbey towns of Jedburgh, Melrose and Kelso, there are many other picturesque Border towns to visit including Duns, Hawick, Lauder, Selkirk and Peebles. The countryside is special here too - from the rolling hills (the Cheviots, Lammermuirs, Moorfoots and Pentlands) to the famous River Tweed. One of the most romantic spots is Scott's View from Bemersyde overlooking the River Tweed and Eildon Hills (made famous by Sir Walter Scott whose home Abbotsford is a marvellous place to visit, as is his last resting place in the ruins of Dryburgh Abbey). Opened in 2015, The Borders Railway connects Edinburgh and Midlothian with the Scottish Borders. Abbotsford House is 20 minute walk from Tweedbank station. There's also a hop on hop off bus (May - September) from Galashiels Transport Interchange which takes you to Abbotsford House, Tweedbank, Melrose, St Boswells, Dryburgh Abbey, Wallace Statue and Scotts View. There's lots more history to explore from the eeries ruins of Hermitage Castle and medieval Neidpath Castle, to fairytale Floors Castle and Thirlestane. 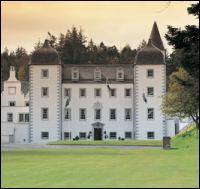 Not to mention Traquair which is said to be the oldest inhabited house in Scotland. There are plenty of opportunities for walking (including the Southern Upland Way and St Cuthbert's Way), cycling, horse riding, fishing, golf, etc. Set in mature gardens 2 miles from historic Jedburgh. 3 pine lodges (1 bedroom or 2 bedrooms). Balcony and patio furniture. Fully equipped. Credit cards accepted. Online availability calendars. or for fishing on the River Tweed. Fishing, golf, horse riding, castles, etc. all nearby. Located 5 miles from Kelso and 15 miles from Melrose. Edinburgh 40 miles. Berwick-on-Tweed 30 miles. Easily accessible from the A1 and A68. 2 bedrooms (1 double & 1 twin). Bathroom. Sitting room with open fire, TV & DVD. Enclosed garden with chairs and countryside views. includes bed linen, towels, logs, central heating. 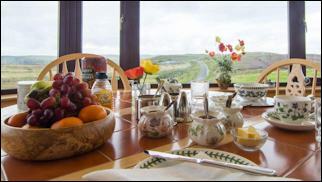 Short breaks also available (min 3 nights). Jedburgh, Kelso, Lauder, Melrose, Peebles, Selkirk. Set in six acres of garden, woodland and fields. 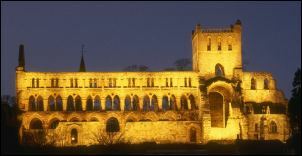 2 miles from historic Jedburgh. Friendly hosts with over 25 years experience. 2 double rooms & 1 twin room. Facilies include guests' lounge and WiFi. 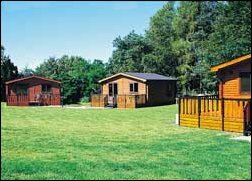 Accommodation in 4 star self catering pine lodges also available. golf, horse riding, historic houses & gardens. 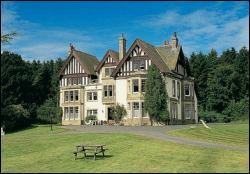 Compare prices for hotel rates in Peebles, Jedburgh, etc.